Over the years we have been faced with many misconceptions in relation to the carpet cleaning industry. As a service, it has come on leaps and bounds in recent years to offer a provision that gives a solution to dirty or stained carpets. Our pricing structure is carefully considered so that it reflects the superior service that we offer as standard and falls in line with our competitors. It is a commonly accepted statement that the cheapest quotation is not always the best; and this could never be more correct when considering a carpet cleaner. To achieve the cleanest carpets the best-available machinery is required and this needs to be coupled with exceptional products. Feel assured that the service offers great value for money and business is thriving as a result. The answer to this statement is clear; when carpet cleaning products are applied they need to be thoroughly rinsed. 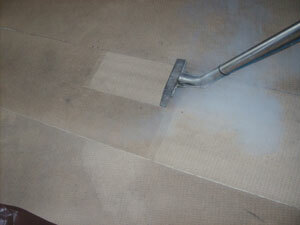 If residue is left on the carpet fibres they will attract particles and dirt and therefore re-soil quicker. Our professional cleaning machinery thoroughly rinses any residue from the carpet fibres so that this is never an issue. Your carpets are left hygienically clean and looking great. We carefully select the product range that we use. These are environmentally friendly and take into consideration that the areas that we are cleaning are frequently used by children and pets. This does not mean that they offer a poorer result, as the cleaning process is thorough and intensive whilst looking after your carpet fibres. If you would like to arrange a quotation we invite you to call today on 0800 695 1118 and we will be happy to arrange an appointment that is convenient for you.